You may own a bike rental shop but may not find enough customers to sustain your business and run it smoothly. Well, you may have got the basics all wrong in the first place. In order to succeed in any business and bike rental is no exception to it; you must follow the golden rule of thumb. Instead of relying on and expecting new customers every day you msust know how to retain your existing customers and make a returning customer out of a first-time renter. You may have heard the popular saying, “Rent a man a fishing pole, and you have made a customer for a day. Send him a follow-up email or an in-store coupon, and you will make a customer for a lifetime.” Though there are a few creative liberties taken up here to make it an alternative adage, the point that you have to retain your first time customer is worth noticing. Anyway, the main point is customer retention usually will cost you up to 7 times less than customer acquisition. Therefore, make the best of the world of unique opportunities that the bike rental sphere has on offer by engaging more with your first-time customers. This will surely help you in the process of transition them into your returning customers. These are the most significant three words that you should take an interest in. Customer lifetime value determines the age of a business and signifies the difference between businesses that flames out high and die and the one that sustainable and substantially grows in the long term. This may seem like heady wisdom to you, but if you take the advice of advice of experts seriously, you must focus on the customer value and life to succeed in your business. If you want to improve your customer lifetime value and ensure them coming back for Unlimited Biking, you must follow these helpful strategies so that you can turn a first time user into a repeat customer. • You must think creatively and intelligently when it comes to bike rentals. You must focus on adapting your services and rentals according to the need and preference of your customer. For this, you will have to identify the ways in which your customers want to relate to your inventory. You must know their purpose and not assume that a customer wants to rent your bike while in reality he or she might be interested in having only a wheel-set. • Design your bike rental programs in such a way that it gives your customers an opportunity to engage with your inventory and choose a product they want before they decide to spend money on it. Make sure that you provide your service on the physical side and at the same time ensure that you maintain the desired depth of your inventory with respect to the e-commerce aspect. • Take more initiative on customer appreciation and support as every customer expects these when they walk through the glass door of any shop, bike rental and otherwise. Though they will necessarily not go out looking for it they will expect the same from you. • Look for the areas that need improvement and do not delay in making amendments. Make sure that you are ever proactive with your customers and thank them for giving you a new business. You may also use personal and unsolicited email campaign for this purpose as well. This will prove to be a great way to engage yourself with your customers before as well as after a rental. It will also create a positive and a long-lasting impact. • Make sure that you provide your users with exceptional customer service. Engage with them quickly no matter where they are. You will need to have more than one customer service phone number to ensure that you can provide adequate support to all of your clients and their diverse needs. • Incorporate a live chat module on your website, design a dedicated social media account on different channels and others. This will help you to respond to your clients’ needs more efficiently and resolve their problems fast. This will minimize the chances of damage caused by a possibly negative rental. • Put in some perspective to make a poignant marketing stat. You must always keep in mind that it takes twelve positive customer experiences at an average to make up for a single negative rental experience. This means, if you are not careful about it right at the very beginning, you will have a lot of unnecessary catch-up work to do. • Make the best and most use of technology in your business. This will not only make the rental experience easy but memorable as well. 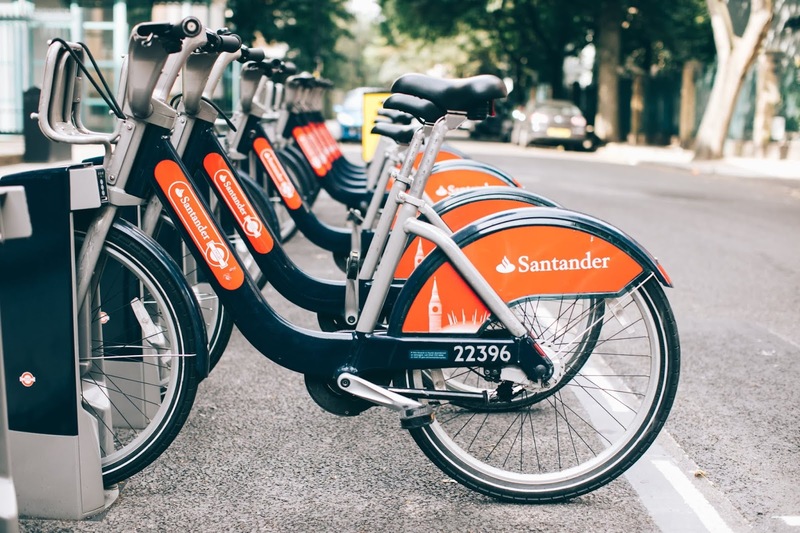 Renting an object honestly does not stimulate squeals of exhilaration, but with the right technology used, however, the process of bike sharing can be made more modern and convenient. The customers are highly likely to remember the rental experience and come back for more bike rentals. More often than not the right rental experience makes all the difference. • You must stay ever active in your community much opposed to the other online retailers. Any brick and mortar nature of bike rental shop provides a physical presence in the neighborhoods. You must make the best and most use of this opportunity for your business advantage by engaging more with the first time renters. Let them know about Unlimited Biking trails, different workshops, and the community rides. This will help you to create a bond of trust as well as familiarity between you and your customer. In short, you must focus on things that the internet cannot take it away or provide. Team up with different cost-free events, do tons of races, trips, shop rides, and long camping trips annually. Remember, successful bike rental is all about community building, and you must be very good at it. It is all about your welcoming attitude that will make a one-time renter a lifelong customer of your bike rental shop.